Erythrina bark (Haitongpi)-Erythrina variegata L. var. orientalis (L.) Merr. Part Used & Method for Pharmaceutical Preparations: The thorny bark is gathered in the early summer, then dried in the sun. Indications & Combinations: Wind-damp obstruction syndrome manifested as rheumatic joint pain, spasm of the limbs and lower back and knee pain. 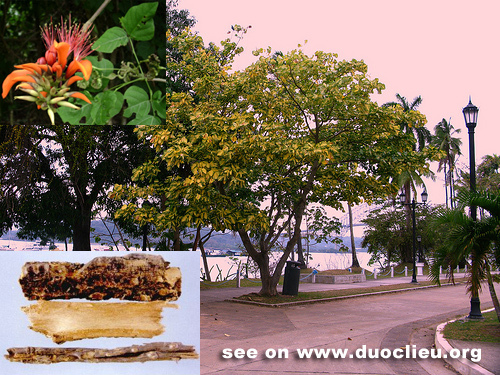 Erythrina bark (Haitongpi) is used with other herbs which have the similar functions, such as Tetrandra root (Fangji), Clematis root (Weilingxian) and Futokadsura stem (Haifengteng).